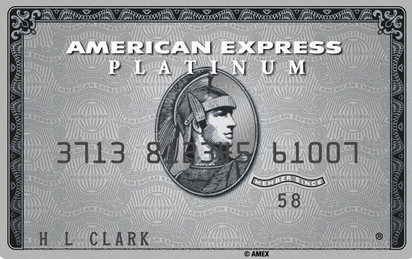 If you’re an American Express Platinum (AMEX Platinum) cardholder, you can add up to three (3) cardholders to your account for $175. It will cost you another $175 for each card afterwards (5th, 6th, etc.). The additional cardholders will receive the same benefits as the primary cardholders except for acquiring American Express points as that goes to primary cardholders (benefit #1). Spending the additional $175 to add your three family members and/or close friends pays for itself with Amex’s credit for your global entry application. Each global entry application costs $100 per application, so the combined savings is $125. You can even pay for anyones Global Entry cost, it is a one time credit and the name on the card does NOT need to match the applicant. Note, when applying, it will charge your card before you setup your interview. 1. Access to Centurion, Delta, and Airspace lounges at major airports. You only need to show your credit card, ID and an airline ticket. You can also bring in two guests. 2. Complimentary access to Priority Pass Select (mostly international lounges). This is a good gap for airport lounges when flying without airline status. You will have to call customer service to enroll. 3. Free SPG Gold status. We’ve found sometimes SPG may reject you because you are not the primary cardholder but keep trying. 4. Free BOINGO account for wireless access around the world. BOINGO has many Wi-Fi hotspots in Europe which can be costly when you travel. 5. Access to ShopRunner, a free 2 day shipping and returns at many stores across the country.